RINGLET worked with Tina Heileman , Founder of MAVN PR, to redesign her website. 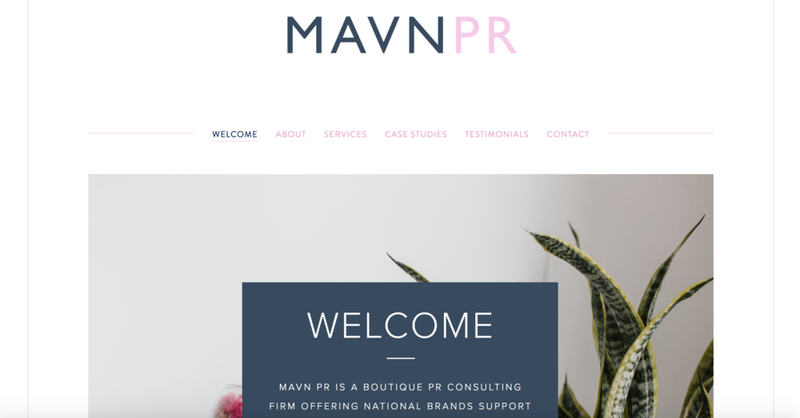 MAVN PR is a boutique PR consulting firm offering national brands support engaging with their target audiences through strategic PR. RINGLET strategized with Tina to strengthen her brand identity then within two weeks, Ringlet created a stunning new website that showcases MAVN PR's strengths and funnels new clients into her contact form. RINGLET also created a brand new logo for MAVN PR that reflects the brand's contemporary yet feminine visual aesthetic.